Deliver world-class customer service. 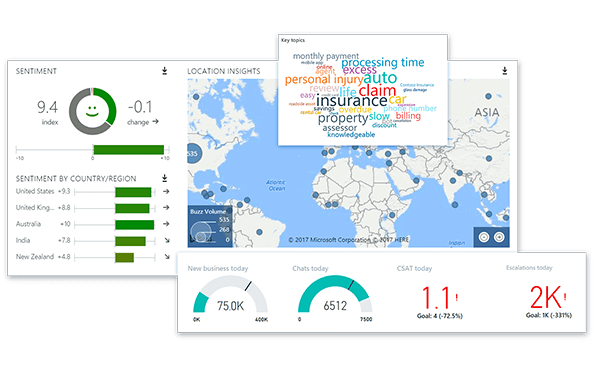 Dynamics 365 for Customer Service comes with built-in intelligence to transform customer engagements. Respond quickly to customer and market changes with an agile platform that has digital intelligence built in. 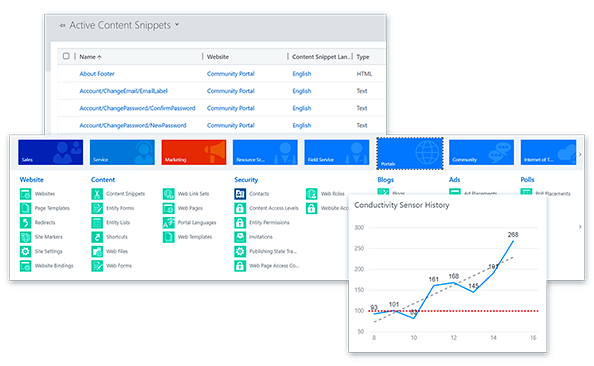 Dynamics 365 for Customer Service provides a unified environment enabling agents to offer customers the seamless service they expect, anytime, on any channel. Leverage automation, analytics, and artificial intelligence to reduce wait times and eliminate confusing processes. Always-available virtual agents provide answers through self-service or intelligently route cases from any channel to the right agent for quick resolution. Transform the customer support experience with a powerful artificial intelligence framework that guides agents to optimal outcomes. Personalise every interaction with insights provided by artificial intelligence based on a complete view of each customer’s journey. Resolve issues before they become a problem, using predictive analysis on data from connected devices. Guide agents to the optimal actions by using agent-facing bots to surface relevant information and make smart recommendations. Accelerate time to impact with in-app learning that gets new agents up to speed quickly. Create upsell or cross-sell opportunities by providing agents intelligent recommendations driven by machine learning. 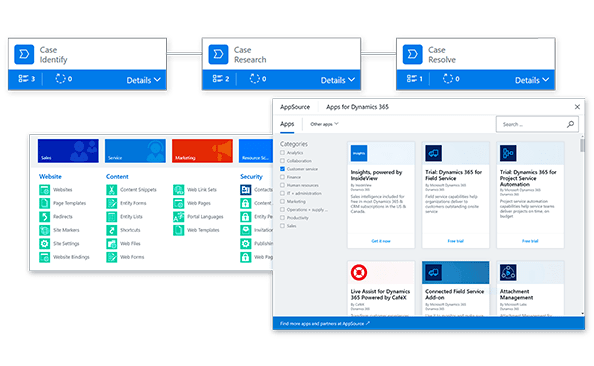 Integrate third-party systems and Dynamics 365 apps for a unified service environment. If you're considering Microsoft Dynamics 365 for Customer Service, or just want more information, we're happy to answer all your questions.